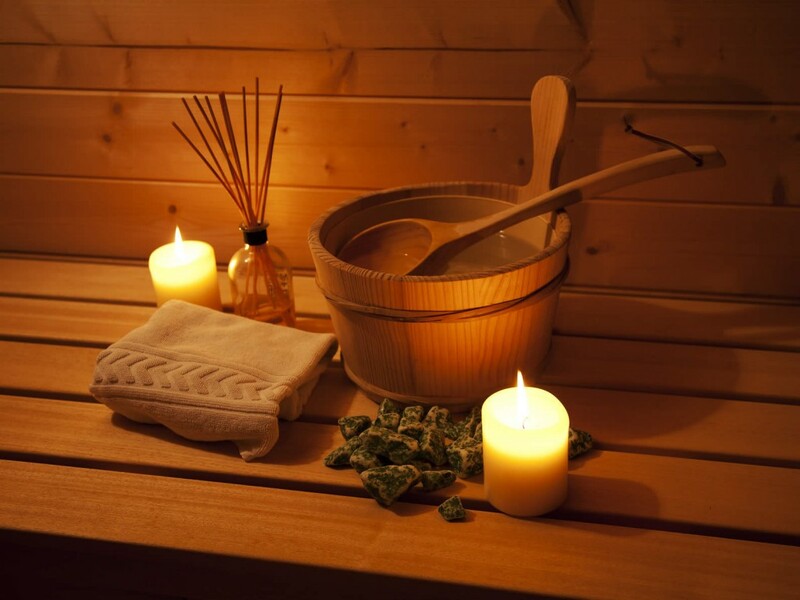 After the hard training or exhausting workday how about some relaxation and indulgence? Average temperature is 90°C with humidity of approx.. 8-15%. The hot air warms the body from the outside, inducing sweating, thereby accelerating metabolism, detoxication and the cleansing of the skin, while having a soothing effect on the soul. Join us on our sauna nights and free seances throughout the year! 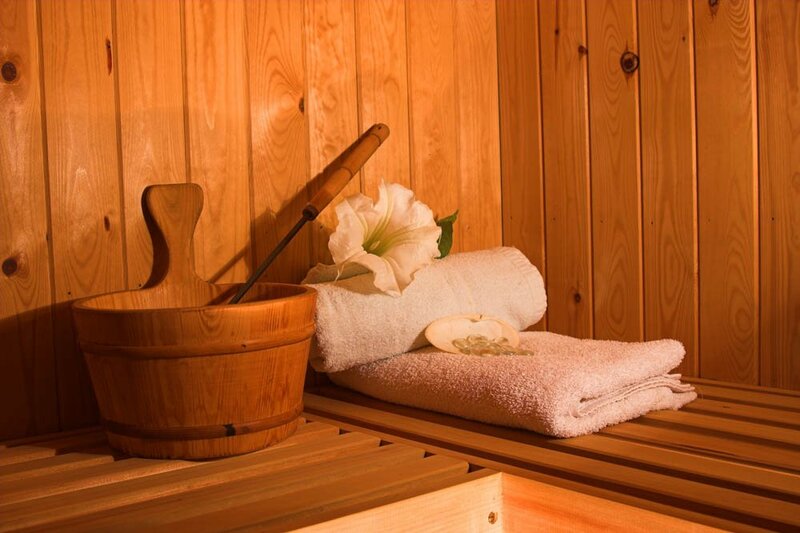 The basic effects and recommendations are the same as with the sauna, but if you find the amunt of heat too excessive, give our steam cabin a try! At a temperature of 50-55 °C and humidity of 70-100%, the lower temperature steam has the same effect of sweating and cleansing but in a more gentle way. This can be used to treat asthma, muscle sores, rheumatic symptoms and certain circulatory problems. It cleans the pores and hydrates the skin, while having a refreshing, revitalizing effect. The infra panels of the cabin warm our skin gradually, from the inside, having a strong detoxifíying effect. This also relaxes muscle tension and calms the mind. The correct position in the cabin is sitting upright with the panel inline with our spine, maximizing the detoxifying effect. Our salt chamber is built up from crystalline salt bricks, and as such is pefect for relaxation. The ionizer installed in the room creates a salt-rich atmosphere very much like the air of sea shores. This salty vapor bunds pisutuvely charged particles thereby cleansing the air. Salt, being a natural antiistamine, cleans thebronchials in the lungs. Crystal salt creates a stable, allergen-free and electro-smog-free environment, while the negatively charged ions affect all bodily functions beneficially. Meanwhile, light seeping through the salt bricks has the same effect as natural sunlight, soothing the nervous system and reducing stress levels. 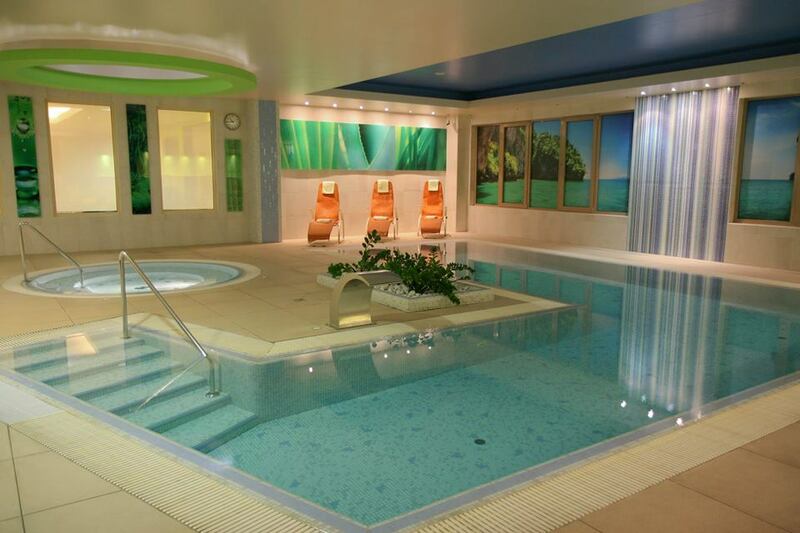 Our wellness department houses a cold water pool and a jacuzzi. In the pool we have regular aquafitness group classes. Ask for the schedule at our reception!